A 1957 portrait, from the National Portrait Gallery. Lucas was born at Hipperholme in Yorkshire, where his father was working as a headmaster; he was educated at Colfe’s Grammar School, Lewisham (where his father had moved to be headmaster), at Rugby and at Trinity College, Cambridge. Apart from the war years, he was based in Cambridge throughout his life. He began his undergraduate career in great style (in January 1914 he was elected to the small elite discussion group of the Apostles, the last to be elected before the war), but left for the Great War in the autumn of 1914; he did not get back to his studies in Cambridge until 1920. He was awarded a first class degree in Classics, and elected to a fellowship at King’s College, Cambridge; according to the excellent Wikipedia article on him, his election came before he had finished his degree. He married in 1921 (and again in 1932, and 1940), and became associated with various Bloomsbury figures. Virginia Woolf described him to Ottoline Morrell as “an academic poet; pure Cambridge: clean as a breadknife and as sharp” (The Letters of Virginia Woolf, ed. N. Nicolson, 5.357). He wrote books on the influence of Seneca on Elizabethan tragedy, and on the influence of Euripides, but then seems largely to have given up Classics in favour of the (then new) English faculty. He did a four-volume edition of the plays of John Webster (1924, dedicated to John Maynard Keynes); he wrote novels and plays. The Decline and Fall of the Romantic Ideal (1936) is perhaps his best-known work of literary criticism; he defends the late romantics like A.E. Housman and Rupert Brooke, and attacks the modernists like Eliot and Pound. He recalled in that book (p. 236) that when he had been under fire in No Man’s Land in the Great War, it was Homer, Morris and Housman who sustained him, and not the moderns. In the late 1930s he became well known also as a critic of fascism and an opponent of appeasement. Commenting in his soon to be published journal, he wrote of Chamberlain’s return from Munich: “Chamberlain comes home beaming as fatuously as some country-cousin whom a couple of card-sharpers in the train have just allowed to win sixpence, to encourage him” (Lucas, Journal Under the Terror, 1938 (London 1939, p.146). Not the least of his many honours and distinctions was to have been placed on the list of people to be arrested and liquidated when the Nazis invaded England. On 3 September 1939, as Chamberlain finally announced the declaration of war, Lucas was invited to join Bletchley Park, one of the first academics to be invited. He was one of the original four members of Hut 3, working on decoding, translating and analysing intercepted messages from Germany, and writing confidential reports on particular issues, and was a central figure there for the rest of the war. In his spare time, Major Lucas commanded a local “egg-head” battalion of the Home Guard, so successfully that they outwitted a group of regular forces on manoeuvres. From May 1945 he headed a team writing the history of Hut 3, and in 1946 was awarded an OBE for his services. He continued work in Cambridge after the war, though his school of traditionalist criticism became more and more old-fashioned. 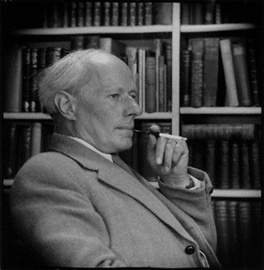 He translated Greek verse and drama for Everyman; wrote books on modern drama and eighteenth-century literature, and expressed his worries for the future in the title essay of The Greatest Problem And Other Essay (London: Cassell, 1960), which argued that overpopulation was going to be humanity’s downfall. He was 72 when he died in his home in West Road, Cambridge. I am so far reliant on two sources: the Wikipedia article, and the entry for the Oxford Dictionary of National Biography, by R.H.L. Cohen, revised by Mark Pottle.